We all search online several times a day, or more likely several times an hour. But what determines the order of your search results on Google, and more importantly, how can your company rise to the top of those results? 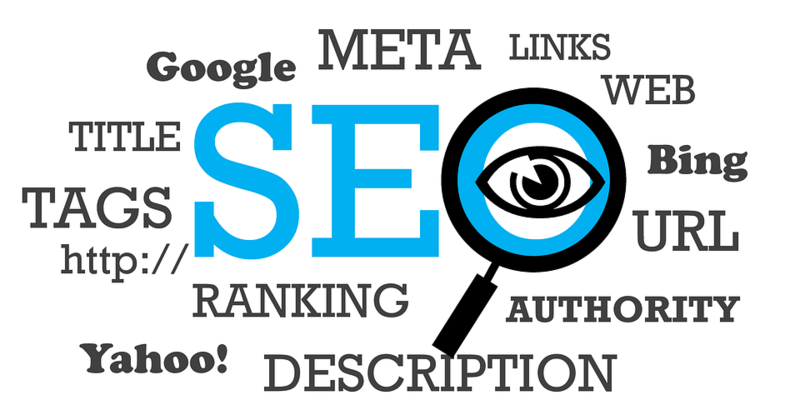 It’s all about Search Engine Optimization, SEO for short, and how the algorithm that Google uses to rank search results can change without warning. In 2016, there have already been multiple changes and we all must adapt in order to maximize the number of visitors to our websites. 1. Keywords are no longer key. 2. People are speaking, not typing. More than ever, people are using voice commands to conduct searches via smartphones and tablets to ask questions that they previously typed out and searched on their computers. We tell Siri, “I’m hungry,” and she generates a list of restaurants in the area. We don’t need to type “list” “restaurants” “nearby” into a search engine to get this information. We simply pull out our phones, hold down a button and talk to Siri like we would a friend. In doing so, we use everyday language, so your website needs to offer content that’s responsive to questions. 3. We are a mobile society. When you are watching “Game of Thrones” with your spouse and neither of you can remember what shows or movies Kit Harington appeared in before he was Jon Snow, you reach for your phone and search for the answer. We expect instant gratification. We satisfy this need by using smartphones. Search engines now penalize websites that are not mobile-friendly with lower rankings in search results. Because of this change, it’s imperative that your website is mobile-friendly. 4. Longer content is better. Yes, we have shorter attention spans, but when it comes to SEO, search engines rank longer content higher in results. You may be used to writing content that runs 200-300 words, but if you write more in-depth and publish content that is 900-1,200 words, the content will rank higher in search engine results. In-depth content will position your company as a thought leader in its industry and your company’s web clout will rise as a result. Keep readers’ attention on longer content by using lists and bullet points. Bold your headings so the readers can skip sections in which they are not interested, but still read sections with relevant information. If it’s appropriate, include pictures, gifs or videos to maximize engagement. 5. Your website should be organized and easy to use. These tips highlight some of the biggest changes in the algorithms search engines use. Adopt these principles and your website will be well on its way to the top!